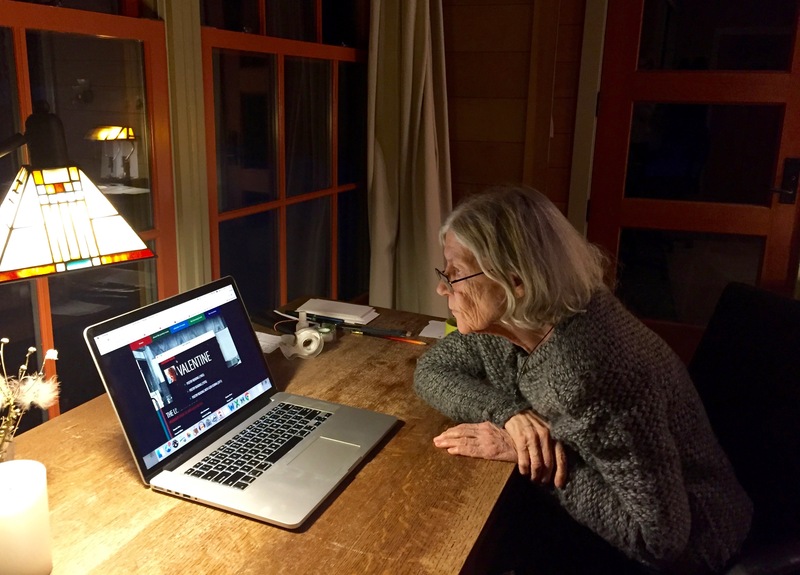 During a residency at the MacDowell Colony in January 2017, I had the opportunity to commune with friend and fellow poet Jean Valentine. Towards the end of my stay, it occurred to me to play her the Woodberry Poetry Room’s earliest recording of her work, the reels of which were recently digitized and made available on the WPR Listening Booth. As it turned out, our listening session was Valentine’s first opportunity in five decades to hear the voice of her early mentor William Alfred. 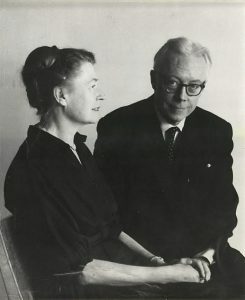 In the recording I played for her, Alfred introduces her Morris Gray Reading at Harvard University in 1965. The moving and illuminating conversation that ensued was recorded on my iPhone and is accessible via SoundCloud (and transcribed in a revised, abridged form) below. The primary questions I asked her related to the mid-century history of the Poetry Room and its then curator John Lincoln Sweeney. The stories that emerged reveal a matrix of intersecting lives and poetries in the Cambridge of that period, including Adrienne Rich, Marianne Moore, Fanny and Susan Howe, Robert Lowell, Sylvia Plath, Robert Fitzgerald, and many more. 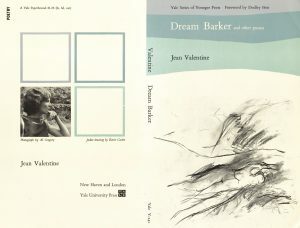 That’s why it is an honor, as well as a pleasure, to introduce our Morris Gray reader today, Miss Jean Valentine, whose first published book, Dream Barker, is the 61st in a distinguished series of the Yale Younger Poets. There are no mere remarks in these poems, no sentences written to make a parade of clever sensibility. These poems are charged with hard-bought impressions of life, expressed in a voice which is uniquely the poet’s own—brave in its candor, compassionate in its strength. There is no slackness in them: the flow of sound and the flow of feelings are one. Christina Davis: So, this was April 15, 1965. Do you have a sense if it was your first reading? 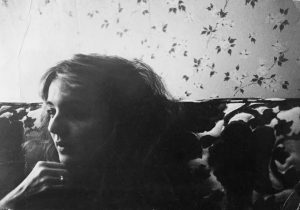 Jean Valentine: The first reading I ever did…. Might well have been. Yeah, might very well have been. CD: You were living in New York? Would you have given a reading at Yale, maybe, do you think, for the prize? JV: Not that I remember…. No, I don’t think so. They did get me out for something….but it was years later. But I mean, the main thing, was Dudley [Fitts], you know? CD: You remembered Bill Alfred saying “hard-bought.” It’s interesting that you still remember that. What did that say to you? JV: Well, because he knew me before…. It said to me that he was respectful of me— and of my life and my—you know, he was that way with everybody. But he had been, and remained forever, one of my most important people. To have someone like that say something about you, it was a little more than a regular blah, blah, blah introduction, you know. It was very moving to me. CD: I agree, it was such a brief introduction, but so compacted of feeling and thought…. Do you have any memory (and don’t worry if you don’t) of who was in the audience? William Alfred, circa 2010. Photograph: Jon Chase. JV: I do have a memory of someone who was in the audience, because that was Adrienne Rich, who I had never met. JV: Well, you know, I probably told you the story about walking down the street when I first got to Radcliffe. Did I tell you that? CD: But who was the old man on the street? And he said, “Well, we have a very fine poet here who’s just had her first book published as an undergraduate. 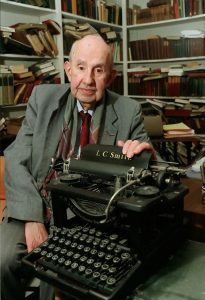 I wonder if you know her work?” I said, “Who is that?” And he said, “Adrienne Rich.” And I said, “No, I don’t.” So, he said, “Well, I’m sure they have it [Rich’s book] in the library.” He was such a lovely man. So I went straight to the library and found the book. CD: But do you think he specifically recommended a woman to you? I’m curious about that—it’s very powerful that he recommended her– and when I think about it– that he understood what that might signify for you. JV: Yeah, oh yeah. And an undergraduate, you know, coming along. It can be done. 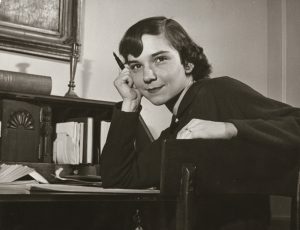 Adrienne Rich, circa 1951. Photograph by Peter Solmssen. Courtesy of Schlesinger Library. CD: Exactly…. That’s what I’m trying to understand: I know Adrienne wrote to you after you won the Yale? JV: After Dream Barker came out. Dream Barker Cover Design. Houghton bMS Am1641.1 (49). CD: I was also curious if Jack Sweeney was in the audience [at the Morris Gray]? Did he attend when you read that time? JV: When I read at Harvard? I don’t remember. CD: So you had met him during your undergraduate years—or when you came back [as a Bunting fellow]? CD: Oh, so do you have a sense of when you– because I’m really trying to get a sense of Jack Sweeney. He was so pivotal to sort of those foundational years of the Poetry Room, and I’m trying to give a sense of him as a human being…. John Lincoln Sweeney and his wife Máire. Sweeney served as WPR Curator from 1942-1967. Courtesy of Woodberry Poetry Room. JV: My parents had lived in that house. JV: Yes! They had moved from New York to Boston, and they had lived in that house and I had lived in it with them. CD: Why had they come to Boston? CD: That’s so helpful to me, because I understood that recordings were made in Beacon Hill in that period. JV: Now you know the very house. CD: I thought it was at a man named Stephen Fassett’s studio? Did you ever hear about him? He recorded Plath (for the Poetry Room) in the late 1950s. 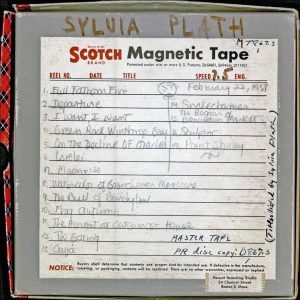 Phonotape container, annotated by Sylvia Plath, affixed with Stephen Fassett’s address. Woodberry Poetry Room Collection, PS3566.L27 A6 1959x. CD: I heard that– I’ve heard that a woman would sit there so that the voice would be directed towards someone. CD: So you made a recording for Sweeney? JV: Yes, he recorded everybody who came through. I’m sorry you don’t have any of them? CD: Living people, that’s usually our audience. JV: I know, I know you like working with us people. CD: [laughter] So, you said that Jack was really helpful to–I thought to you, but maybe also to Adrienne Rich? JV: Yes, what happened was Adrienne was so well known, she had won the Yale prize while she was an undergraduate, and also she was a brilliant student. And it was a smaller place in those days and everybody loved her… He [Sweeney] was building his poetry library, and she lived in Cambridge…. CD: ….when you say “they,” would it actually be that a person would go to the door and try to get in? JV: Well, not once we heard we couldn’t. CD: Was it just an implicit prohibition? CD: Do you remember the first poetry reading that you ever attended, whether it was in New York or Boston? Or, maybe the most pivotal or surprising in your early life as a poet? JV: They weren’t a feature of my life until probably I got to Harvard. At Milton, where I went to boarding school, Milton Academy outside of Boston, they didn’t go in for poetry much. They did perform– T. S. Eliot had gone there—“Murder in the Cathedral” regularly. With all respect, I do think it’s an amazing play, but every Christmas? It was getting to us. [laughter] But other than that, they had no interest in poetry or any of the arts at the time that I was there. JV: It was a very civic school. CD: Because Buckminster Fuller came out of there, too, I believe. JV: I didn’t know that. I can’t say I’m an expert on the place, and I was glad to be there because I was glad to be among people my own age. But it was—it was more civic than anything else. And I think it’s very good in that way. I think it made good citizens of people. I loved the English teacher, and she got me through. But it wasn’t much for the arts, and I forget what that was in interest of…. CD: …. 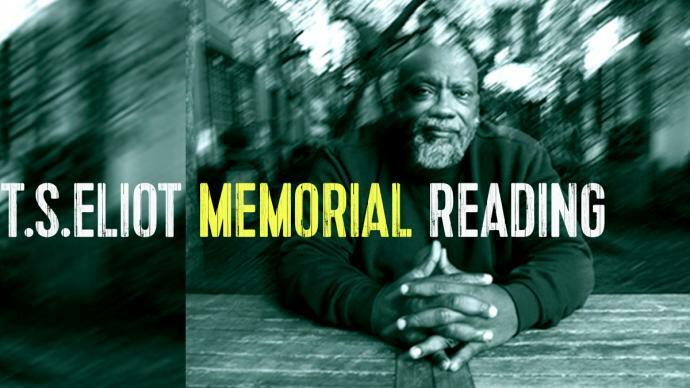 Oh, whether you had any memory of your first poetry reading you attended? JV: No, I don’t believe we ever had one at Milton, or in my parents’ lives at all…. So probably at college. CD: You had said, maybe, Edwin Honig had recommended you go hear Marianne Moore? CD: ….Do you know why? JV: Because she was a woman. That’s what I believe. 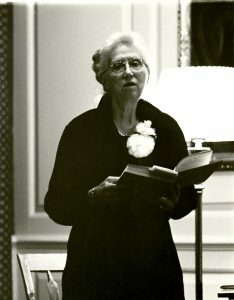 Marianne Moore reading at Lowell House. Houghton Blue Star b (Woodberry Poetry Room) MS Am 2753. CD: I know she [Moore] was very nervous about that reading. JV: I don’t blame her. Not very many people came. It’s very good that Bill told people to come, and I’m sure [Archibald] MacLeish did. Wasn’t it MacLeish she was working with? JV: Harry Levin. And Harry Levin introduced her. But I don’t know if Harry– Harry would have been teaching a Shakespeare course at that time, so he probably told his students to go, but maybe they didn’t. It wasn’t much of an audience, but it wasn’t awful, either. You know, it was a small college audience. Our whole class showed up because we’d do anything Bill Alfred said. CD: Do you have any physical memory of her? CD: Did she have the hat on for that—? She was very gentle. She said she was very glad that we were there and that we had turned out for this reading and she was very happy to be there and so forth. And then she said that she had gone to Bryn Mawr and she had taken a poetry class there and she had written a quite bad poem which she would like to read to us. (I mean, I know she referred to it as “not a very good poem,” maybe that’s what she said.) Because it wasn’t exactly broad humor, but it was sort of gently saying, “This is what I wrote when I was your age, and I’d like to read it to you.” And it was absolutely the wisest and kindest thing she could have done. JV: And it wasn’t very good, and we all felt it wasn’t very good, and “look at her” and “maybe we have hope,” which I’m sure is what she intended, you know? CD: Did you have a sense, just curious, did you have a sense of how Modernists sounded? I mean, like do you remember being surprised by how someone like Marianne Moore sounded or were you prepared for that? JV: I wasn’t surprised by that. But maybe I wasn’t surprised because it was all surprising to me, you know? All of it. I mean, the culture of poetry I had never put my toe into until I got there. And this was my Junior year, so I’d heard a few readings. But it might be that I just was—everything was so new to me, you know, wouldn’t have mattered if it had been Modernist or Tennyson. Probably it was all so new to me. CD: What years were you there? CD: Do you think you heard William Carlos Williams when he came through? JV: Edith Sitwell, I heard her. CD: Well, I was going to ask. Now, I want to tell you that I think Susan Howe was there to listen as well… one of the Howe’s. JV: Very possible. Those were the girls we adored. Susan and Fanny [Howe]. CD: Wait! You knew them? JV: Well, no, but we knew them by reputation. Everything—they’d say, “Have you heard now with Susan? did you hear…?” They were the most glamorous people we’d ever heard of. Fanny Howe. Photograph by Elsa Dorfman. Courtesy of Fanny Howe. CD: That’s fascinating to me…. Do you think it was through their mother being involved with The Poet’s Theatre? JV: I hardly knew anything about them. CD: They were just up the street. JV: Yes, Mary Manning. And he told me also that the father [Mark DeWolfe Howe] was great. CD: A great civil rights advocate [and Harvard law professor]. CD: Would they walk through Radcliffe Yard? JV: I remember them in the Square more—or even, their legend. JV: Well, that’s how it was for us, for me, when I was that age, yes…. The hearsay of Fanny and Susan was just so exotic. JV: The Bunting Fellowship, yes. CD: Do you have a sense of something having shifted in terms of women or poets on campus or—I mean, given the political period? JV: You know, I wasn’t in the university, so I don’t really know. CD: Was Robert Lowell there? CD: Anne Sexton, wasn’t she at some point? JV: Yes, but not when I was there. She was earlier, and Plath, too [at Boston University]. But I thought he (you know, there’s all kinds of things said about him) he was a wonderful teacher. Do you know all the stories about his office hours? CD: They’re famous but, I mean, it’s worth re-telling. 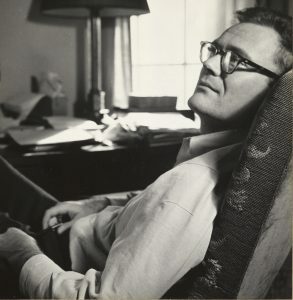 Robert Lowell. Photograph by Robert Gardner. Courtesy of the Woodberry Poetry Room. JV: Well, the reason he called them his “office hours” was because he was supposed to be teaching a course. And, he was teaching a course, but he called it his “office hours”…. He loved to be different, anyway. But this was a very interesting need he had. CD: Such a remarkable generosity. JV: And people came in, you met more people there, you know. Somebody would come in from Iowa who knew him there once or knew him someplace else. They’d come to town, they might know a poet in town, and they’d ask what’s happening here in poetry? And they’d say, “Well, if you’re interested in going to Lowell’s office hours, they’re Thursday at two,” or whatever it was. And he said, “You mean I could go?” And they’d say, “Yes, everybody’s welcome there….” And Frank [Bidart], this is when I got to know and love Frank. It was so quietly done, you’d never know. You’d just think, “Gee, they’re good friends.” It was just a wonderful, wonderful human thing. And Lowell was never acting strange with us. He was so giving. He was an extraordinary teacher (I thought) of workshops. JV: …. We’d sit around this table, there weren’t that many of us, maybe 10 or 12. And he’d just say, “Who has a poem?” and somebody would read a poem and then he would– I couldn’t do it, but he did it and it was nice, he’d take the poem and say, “Would it be all right with you if I read this?” This would be the second reading. “That would be okay, sir, yes.” We weren’t talking like that to him, but it was a great thing. And I thought it was helpful, too, because to hear it in another voice is always helpful. And, eccentric as his voice was, it was very moving to us because we all thought he was a very great poet and we were honored…. I felt that the whole thing was very mellow and that he was a very, very good reader. Jean Valentine. Typescripts/MS with corrections. Published in Pilgrims (1969). Houghton Library bMS Am1641.1 (51). CD: Do you remember any critique of– not critique in the negative sense, but any helpful critique? JV: I was an extremely sensitive person. [laughter] And, I hadn’t had a teacher for god knows (decades or something) but I admired him hugely…. CD: A blind eye to–? JV: When he wrote the foreword to Sylvia Plath’s collection, I think he had somewhat of a blind eye. But, he also saw her. JV: So he was human, I guess. CD: She writes in her diaries about meeting with Jack Sweeney, who made her first recording, as sort of this saintly grandfather figure. JV: Oh, I’m glad. He was, he was, yeah. He went on to also remain very close to Ted [Hughes]. Jack Sweeney, yes, he had a very big heart. CD: I can’t remember if I have any questions– were there any other memories that you had wanted to share in terms of Sweeney or Harvard? JV: Jack Sweeney: about how he put the library together, are you interested in that? JV: He said what his brother James Johnson Sweeney did with MoMA in New York was when he heard somebody was good, he bought something by them. And when he thought himself that somebody was good, he bought something by them. And that’s how he did it at the Museum of Modern Art. And so Jack said, “So, I did what my brother did. I thought he was doing something smart and so when I heard somebody was good, I recorded them.” And got them to read, or whatever he did. And so that’s how I wanted the library to be. Recorded on January 24, 2017, at Calderwood Studio, MacDowell Colony, Peterborough, New Hampshire. 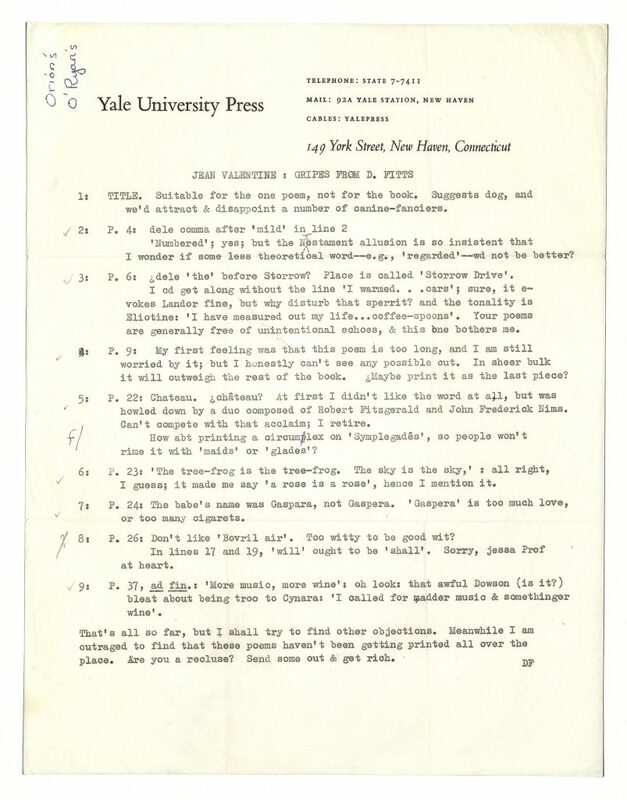 Curator’s Note: Dudley Fitts was the judge of the Yale Younger Poets prize that year. I recently confirmed through a letter sent by Fitts to Jack Sweeney that Valentine did give a reading at the 92nd Street Y in Fall 1964. Though not her first public reading, the Morris Gray (1965) may possibly be the earliest extant recording of her work. 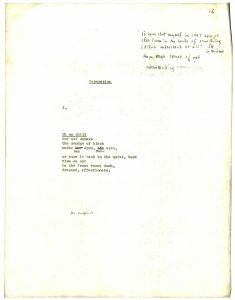 Typescript of “Separation,” with JV’s note about John Berryman (in upper right corner) and “no complaint” jotted in Fitzgerald’s handwriting (in lower left). Houghton Library bMSAm 1641. 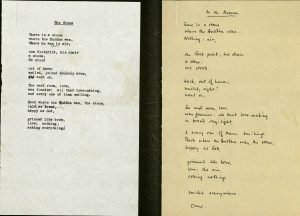 Curator’s Correction: After this interview I double-checked the Poetry Room’s archives, and it does appear that the home she is referring to it is that of the audio engineer Stephen B. Fassett. Sweeney resided at 51 Beacon Street, Boston, Mass., a mere 2-minute walk away. Curator’s Note: Valentine later recalled that the professor she was referring to was Prof. Mason Hammond. His wife, Florence, frequently sat in on Sweeney’s recording sessions as a kind of professional listener. Curator’s Note: As a result of this conversation and a recent survey of our uncataloged LPs from this period (conducted by UMass-Boston MFA student Kate Glavin), we were able to ascertain that a vinyl disc of Valentine’s 1965 Fassett Studio recording does exist and we look forward to digitizing it shortly. Tagged with: "adrienne rich", "fassett recording studio", "jean valentine", "john lincoln sweeney", "stephen fassett", "william alfred", "yale younger poets"